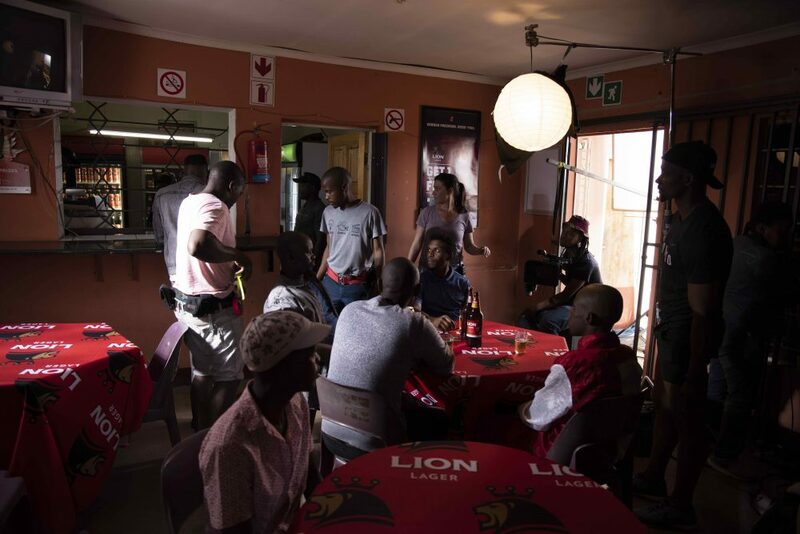 The pride of South Africa, Lion Lager took the second screen by storm with the launch of the ground breaking digital series called ‘iLobola NgeBhubesi” as part of the relaunch of the brand and their “Lion is back at R10” campaign. The limited 5 part drama series which launched on 22th October on the brand’s Facebook page, as well as their Twitter and YouTube platforms, drew to close this past week with the 5th Episode. “iLobola Nge Bhubesi’ tells a story that celebrates the resilient spirit of South Africa. It is a story about love, pride, life, overcoming challenges and resilient spirit of a young South African man named Sipho. The drama follows Sipho as he gets ready to marry the love of his life, but first he must overcome the challenges he is set to face” says Titi Mabitsela, Lion Lager Brand Manager. Mabitsela says Lion Lager has been quiet for quite a while and they want to relaunch the brand in a manner that resonates with consumers and, more than anything, showcases their resilient spirit as you’ll see in the digital series. “The series is a celebration of the tenacious and “never say die” attitude that we know of the Lion Lager man, no matter what is thrown their way. It’s not often that a brand delves into a uniquely Mzansi story and as many will see in the setting, this is a story that many South Africans can relate to,” adds Mabitsela. The lead character is played by an upcoming South African actor and musician Bafana Mthembu (26) in his breakout role. The series also features talented actors Nhlanhla Mahlangu (as Gumede), Sibonile Ngubane (as Malume) and Mcedisi Shabangu (who plays the bride’s Father). “Being a part of this one of a kind and ground-breaking production was really exciting for me. I could relate very much to the character I played because, like him, I’ve been exposed to the custom of iLobola and have seen some of my peers go through a similar journey. This made it easy to tap into the mind state of a man who’s about to undergo this.” says Bafana Mthembu, lead actor; Sipho. ‘iLobola Nge Bhubesi’ is the brand’s first ever digital drama series airing exclusively on the brand’s Facebook page – Lion Lager SA. Next: New TGCSA grading criteria set to improve competitive edge of South Africa!